You don’t have to be a movie star to have a bright white smile, and you certainly don’t have to spend a fortune on teeth whitening and tooth bleaching treatments. At our Fairfax, Northern Virginia dental office, serving Arlington and surrounding communities, Dr. H. Charles Jelinek offers in-office and take-home teeth whitening treatments to brighten your smile. If your teeth have lost some of their natural whiteness and brilliance due to stains and years of wear-and-tear, teeth bleaching will enable you to have the bright, healthy-looking smile you desire. At our Fairfax, Northern Virginia dental practice, Dr. Jelinek does not use light-activated teeth whitening. Our in-office tooth bleaching solution is a far better alternative. 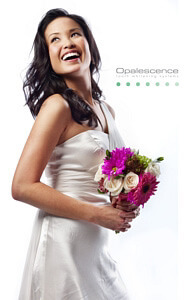 Our in-office teeth whitening techniques involves the application of a powerful whitening solution that produces exceptional, long-lasting results. How many times have you bought teeth whitening kits from stores only to be disappointed with the results? Our take-home teeth whitening kits are easy to use and produce outstanding results. Because our teeth whitening kits require lower concentrations of peroxide gel, they can remain on the teeth for a longer period of time. Contact our office to learn more about how you can restore the natural radiance of your smile through in-office teeth whitening and at-home tooth bleaching. Our Fairfax, Northern Virginia office serves Arlington, McLean, Tyson’s Corner, Vienna, Alexandria, and surrounding communities.